Watch the video on how to start trading on the MT5 Android mobile app or look through the steps below. 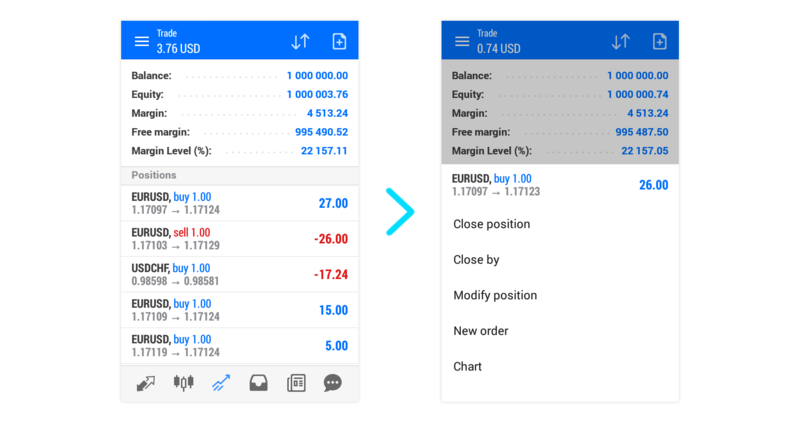 MetaTrader 5 for Android lets you trade whenever and wherever you like. 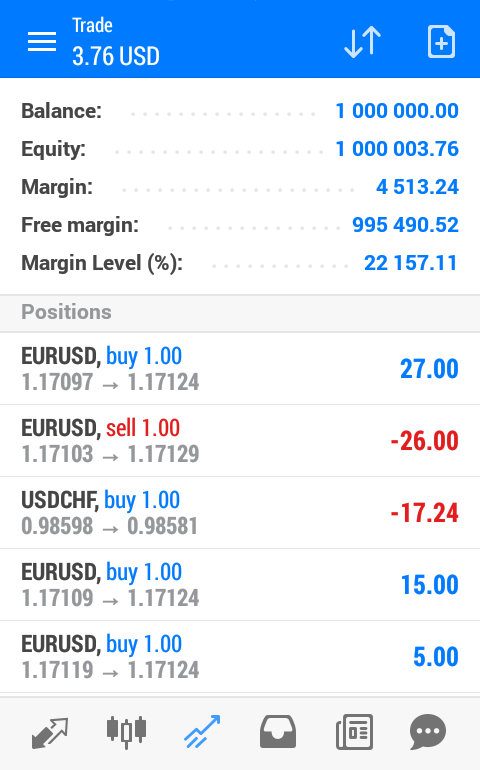 To trade Forex on the go, first you need to download the mobile application. 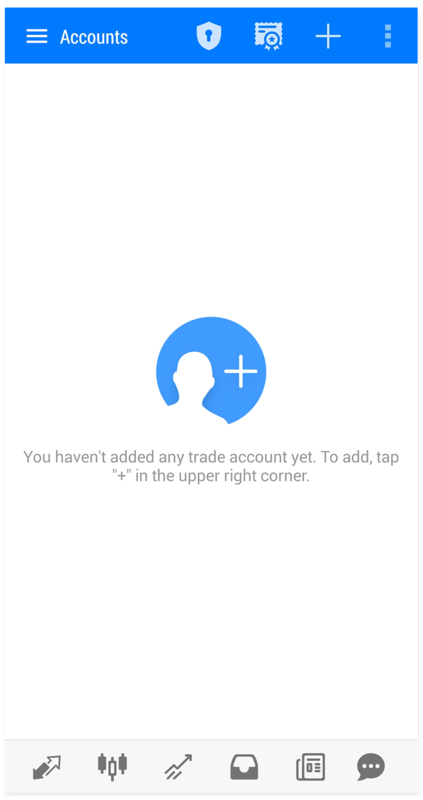 Open the app and add a trading account by clicking a + icon in the top right corner. Then you need to connect to a broker. 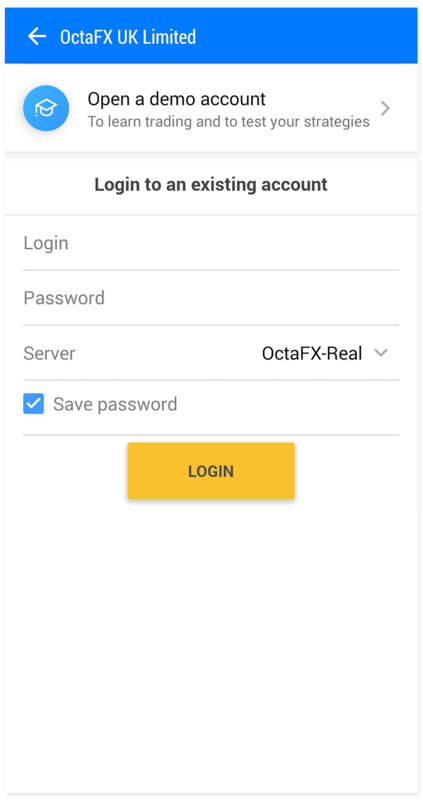 Type OctaFX in the search box to find our server. Next you’ll need to enter your login and password. You can choose Demo server to log into your Demo account or Real to use your Real account. Please note that every time you open a new account, we’ll send you an email containing that account’s login (account number) and password. Remember that your login always matches your account number. 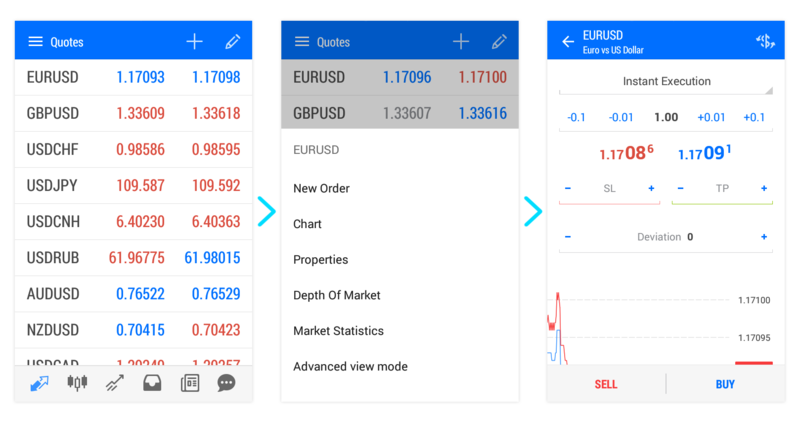 Once you’ve logged into MetaTrader 5 for Android you can start trading! 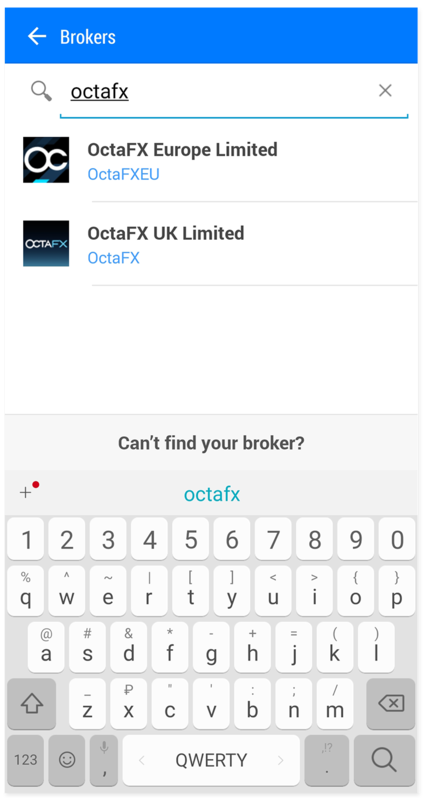 The Quotes tab is where you’ll find the list of pairs available to trade, with their ask and bid prices.The ask price is used to buy a currency and the bid is for selling. The ask price is always higher. 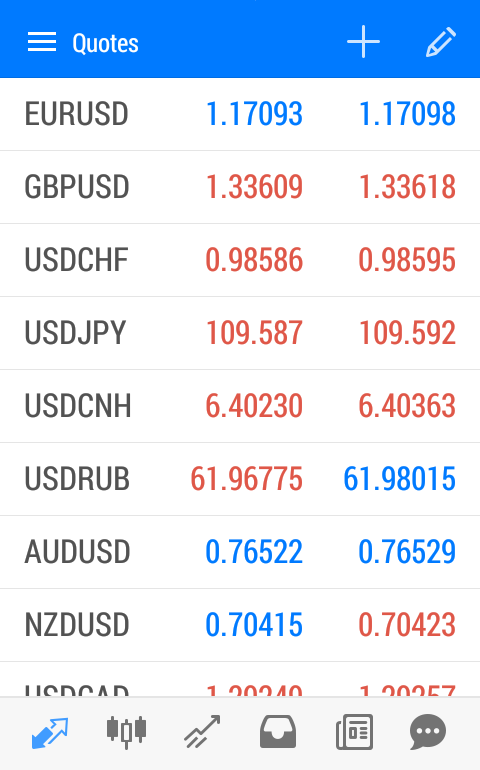 To open an order you need to press the currency pair you want to trade, then choose New order. 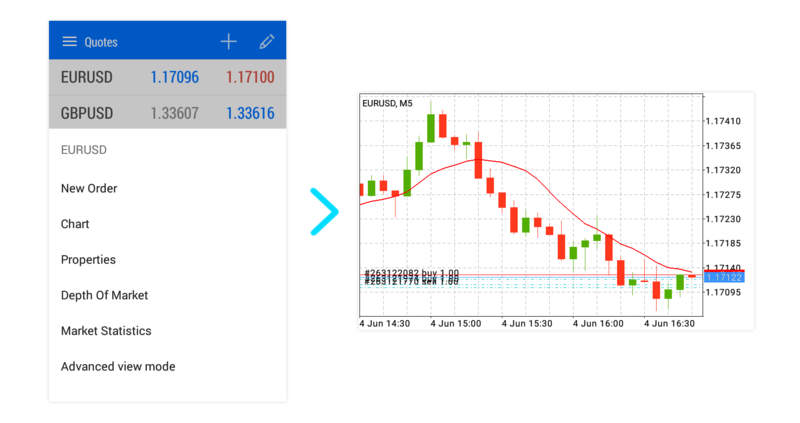 In window that opens, you’ll need to choose the volume of your trade by entering a lot size. Decide whether you wish to buy or sell the asset. The order will be opened immediately after you click on either the Sell or Buy button. After opening the trade you’ll be redirected to the Trade tab, where you can see your opened orders. To close or manage a trade, you need to press and hold it in the list for a second. Then you’ll see the options Close position or Modify position. 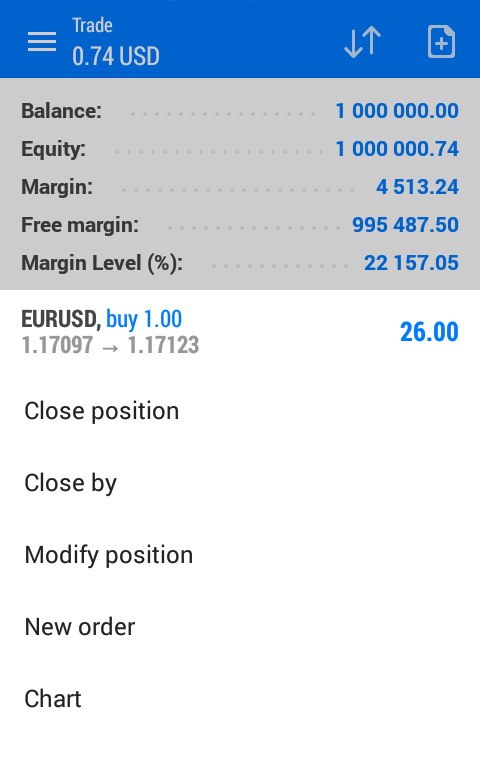 After you press the Close button, your trade will be closed and your profit will be credited to your account balance. 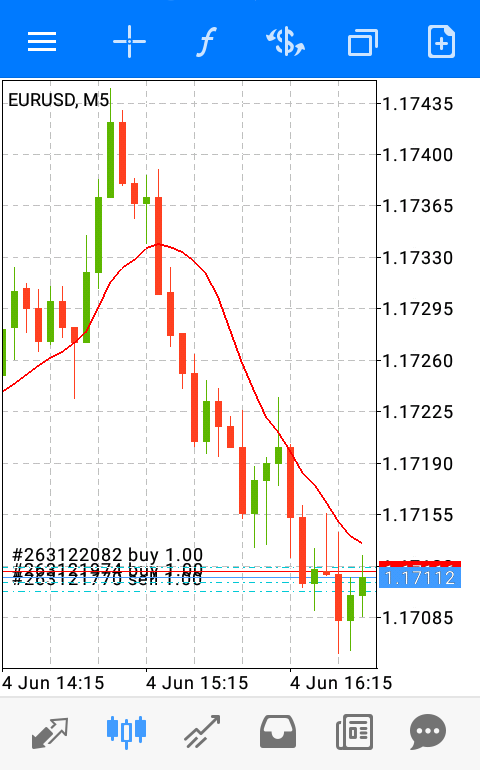 Press the currency pair and select the Chart option to open the Chart tab and inspect the chart. 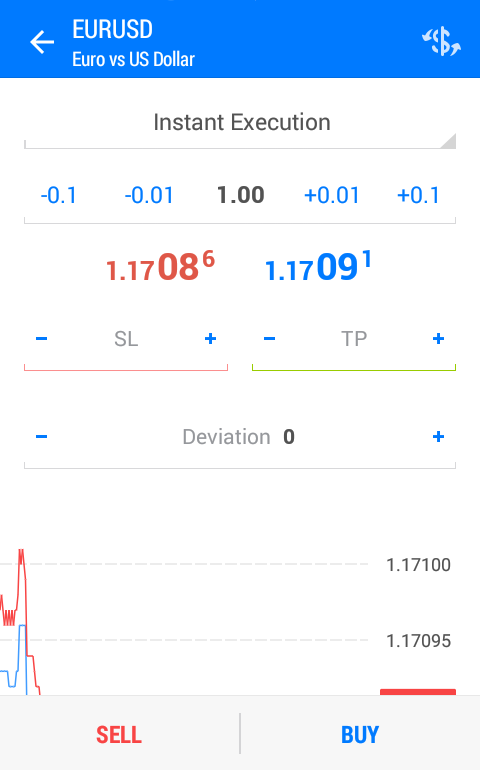 You can rotate your screen to view charts more clearly. You can open trades from this tab by tapping the Trade button. 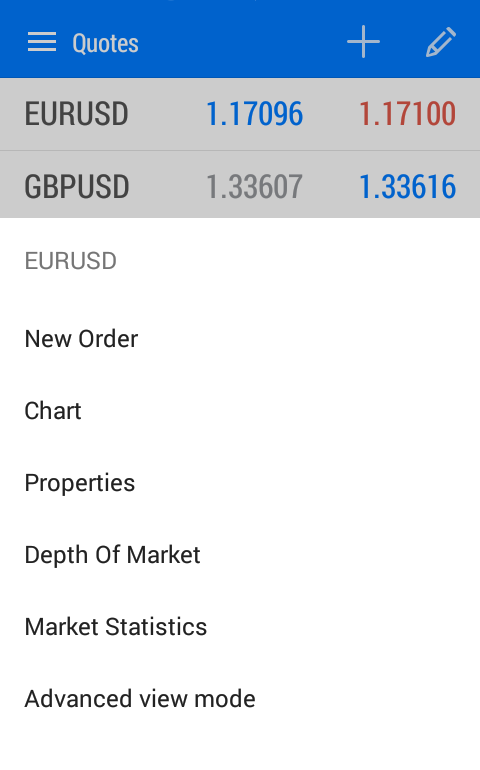 We recommend you familiarise yourself with the options available in MetaTrader 5 for Android. This way you can trade Forex at any time, in any place! 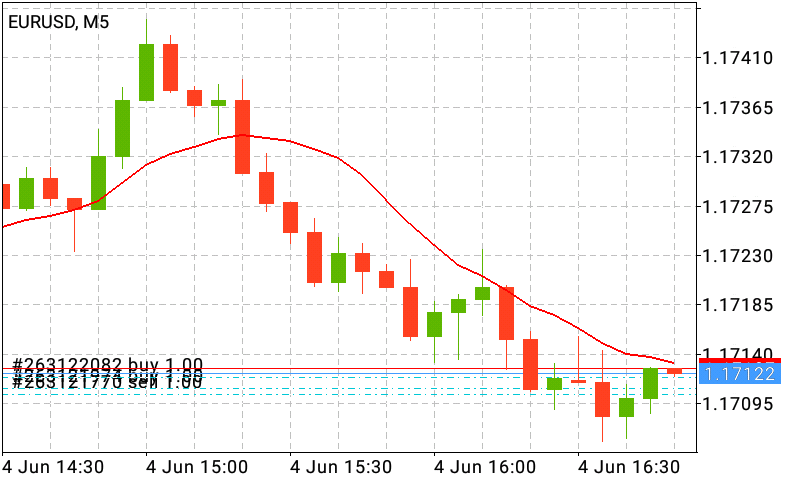 To find out more about Forex trading, please follow the article on how to start trading in 4 easy steps.